A 19-year-old Kuna man is being held in the Ada County Jail on a $150,000 bond for his role in a head-on car crash on Meridian Road in November that resulted in hospitalization of three people. Andrew J. Ferguson is charged with two counts of felony aggravated DUI in connection with the Nov. 28 crash. Ferguson was driving a 2002 Pontiac Grand Prix northbound on Meridian Road, north of Lake Hazel Road, just before 12:45 a.m. when he drove his car into the southbound lane. The Grand Prix then collided with a 2015 Honda Fit, which was headed south. The force of the impact destroyed the front ends of both cars. 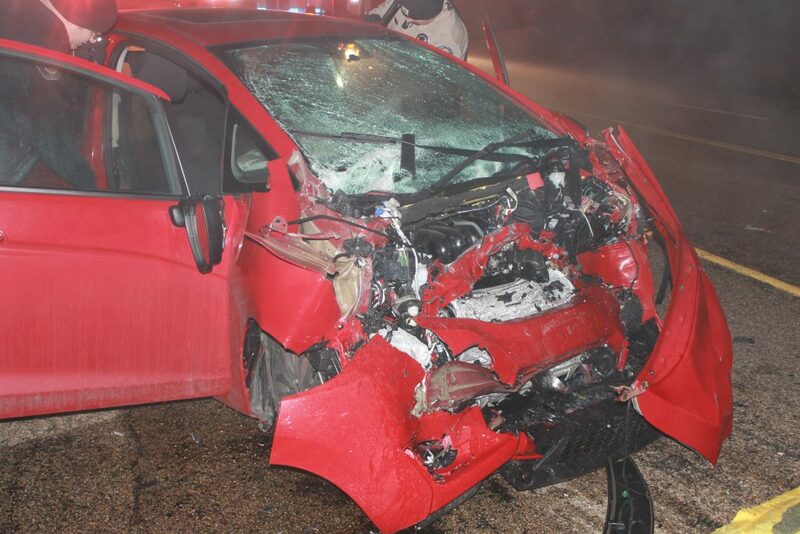 The 18-year-old woman driving the Honda and her 21-year-old male passenger were both injured during the crash. So was Ferguson. All were treated by paramedics at the scene and transported to Saint Alphonsus Regional Medical Center for treatment. 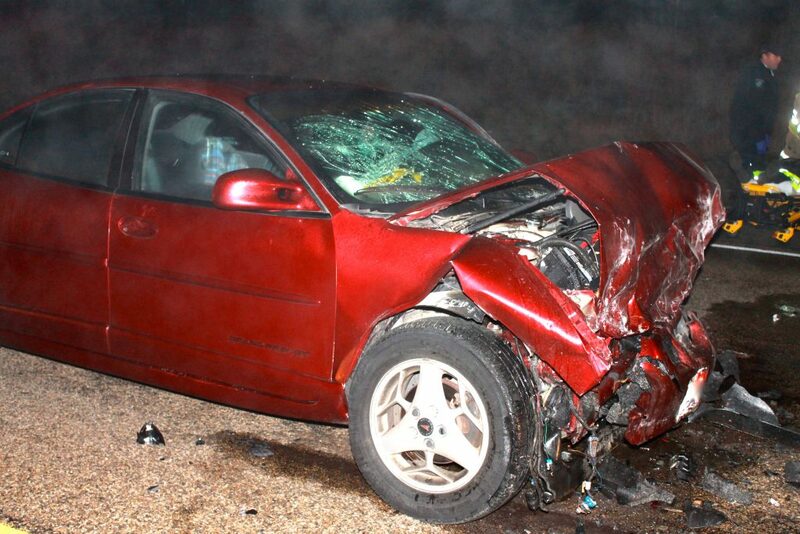 Deputies investigating the crash detected the odor of alcohol coming from Ferguson, who also had blood-shot eyes. Ferguson also admitted to drinking two beers prior to driving that night. A blood sample was taken from Ferguson at the hospital for testing. Results of that test were not available Friday. Ada County prosecutors issued an arrest warrant for Ferguson Wednesday. The charge of felony aggravated DUI is punishable by up to 15 years in prison, up to a $5,000 fine, and drivers license suspension of up to five years.